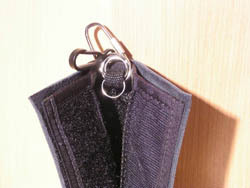 This ingenious product lets you keep your keys comfortably inside your pocket. Keys no longer stab and jab you! Fits car remotes too! Various colors with black trim. Click here to continue shopping for other Key Kover products.